digITech’s rapid growth as a thriving small business has not gone unnoticed by other local business and governments including the City of Austin’s Small Business Development team! 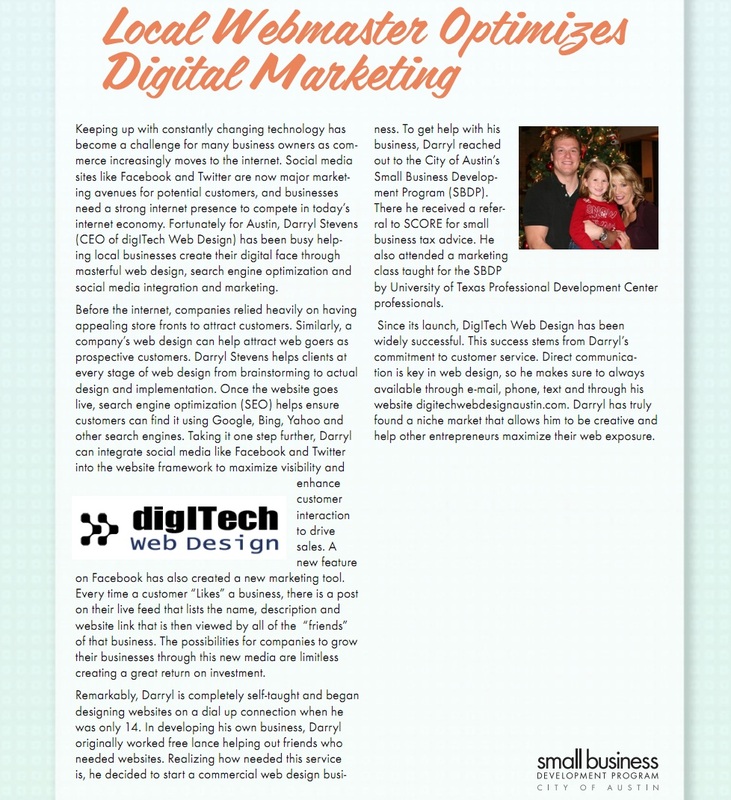 We are extremely excited to be featured as one of Austin’s Small Business success stories, and we are dedicated to being a business for the community. digITech strives to help other businesses in the Central Texas Area grow and expand their companies as well through masterful website design, using all of the latest technology at our fingertips to gain the maximum amount of traffic and exposure for our customers. We are glad to be a partner with the beautiful city of Austin, living and working in the city that we love as a business FOR the city!